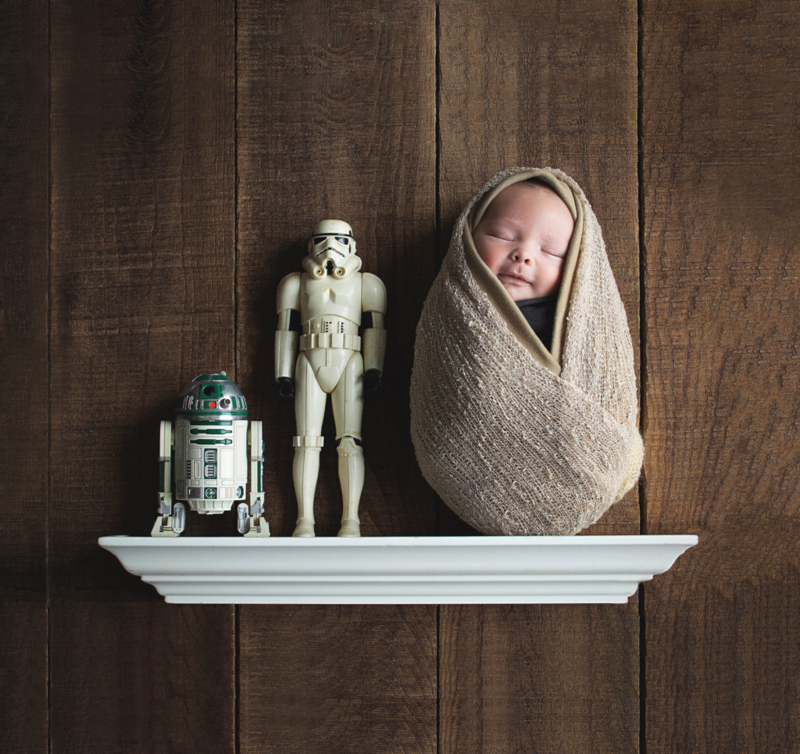 Heirloom Fine Art created by Central Ohio’s Best Newborn Photographer, Kristin Frost. She works with her clients to produce a remarkable gallery for your families legacy. The KLFROST Experience includes an in person consultation where together you will design your babies Newborn Session. Professional Newborn Photography portraiture is your legacy that will be enjoyed by your family for generations to come. Central Ohio's Best Newborn Photographer, Kristin Frost captures this precious season in your babies life. Each image and video clip that Kristin captures she develops in to a gorgeous gallery of art. For years to come you and your family will enjoy revisiting these moments from the fine art that is on your walls. These precious moments that are fast fleeting memories will be easily viewed on your custom DVD Slideshow. Check out Ellison Rose's recent session here. Studio Newborn Sessions are held at KLFROST's Boutique Home Studio in Johnstown, Ohio. 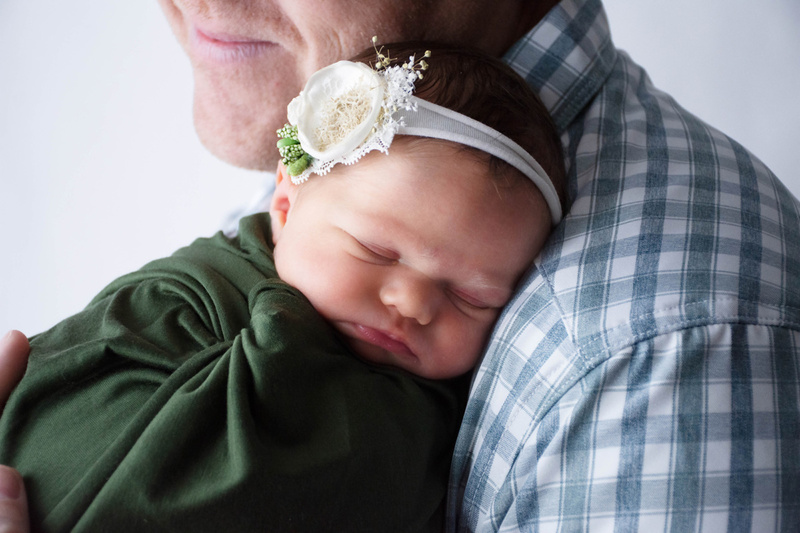 These sessions typically last up to 3 hours and are captured the first 2 weeks after birth. Your pre-designed session will be prepared and setup with an easy workflow; all of my props and accessories needed will be easily accessible for your babes session. 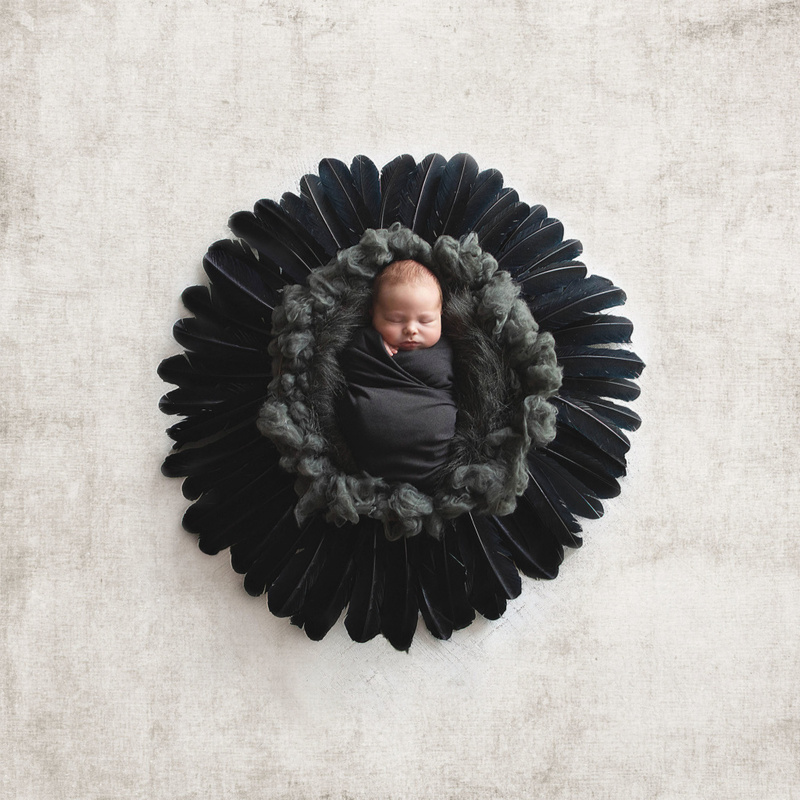 Your gallery will be filled with a variety of posed portraits, typically of your babe swaddled in gorgeous fabrics, in a sweet outfit or artistically posed to see all of those precious tiny features. Whether set inside a basket or posed on a beautiful fabric, the moments captured from this session will be thoughtfully created to spotlight your babe as the focus. When you arrive to your Studio Newborn session, Kristin will welcome you into an area where you can spread out and relax, with full amenities. Coffee, bottled water & snacks are readily available for you and your family. Your comfort is very important! Within her Studio she provides a private bathroom, private room for changing & breastfeeding (if needed), a playroom for any littles that need a break before/after family portraits, and baby changing area. All you will need are pre-planned outfits (if planning Family portraits) and accessories for your babe, diaper bag, and lil’ ones milk. Kristin will have extra items available if needed, because, as a mother of 4, she knows what it is like leaving the house (taking care of everyone) with an added little one. Kristin is here for you, Momma! Central Ohio's Best Newborn Photographer welcomes family portraits with your sweet babe in her Johstown Ohio Coutique Home Studio. 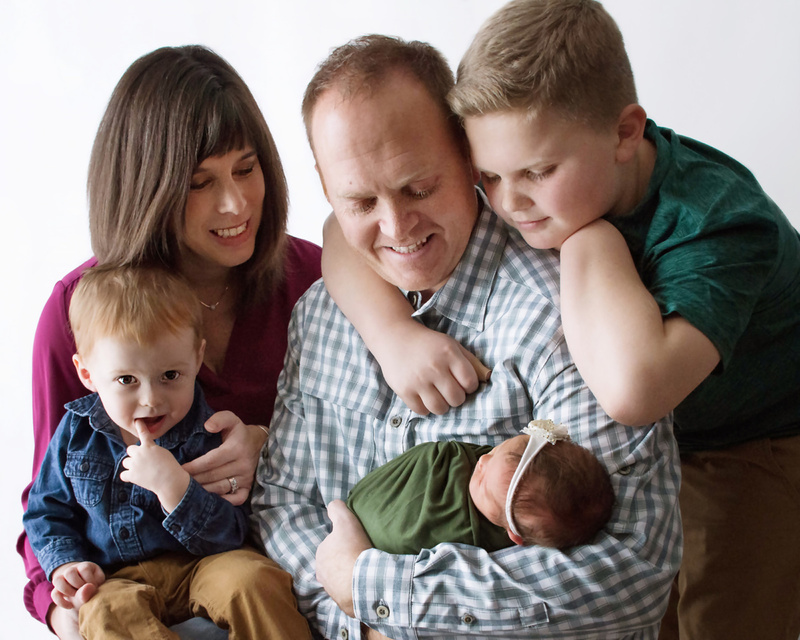 Kristin will focus on the interaction between your family members; capturing a few formally posed images with each parent and babe, siblings together and your newly grown family. She will document your families natural interactions with your sweet lil’ squish, this precious time with video clips & digital images. As an artist, Kristin loves exploring more than the 2 dimensional art of a portrait; capturing in 4D with the emotions, sight and sounds between each of your family members. When is the best time to schedule our session? - Scheduling your Newborn Session, whether the location is in Studio or In-Home, is best scheduled before your third trimester. Permitting a gracious amount of time for a thorough consultation prior to your session, ensuring time to prepare and prevent last minute stress. What session is best to include my pets? - At an In-Home Session you will be able to bring in your fur babies to be a part of documenting this season in your family’s journey together. Do you use flash or natural light? - Whether you choose an In-Home or Studio Session, we will be working with soft Natural Light. What if a situation arises that I am unable to leave my home after birth? - After your delivery, if you experience complications where you wish to change your session from a Studio Session to an In-Home Session, I will happily make arrangements to make this happen. I am flexible and determined to make sure that your experience in documenting this precious time in life fits your family’s needs! 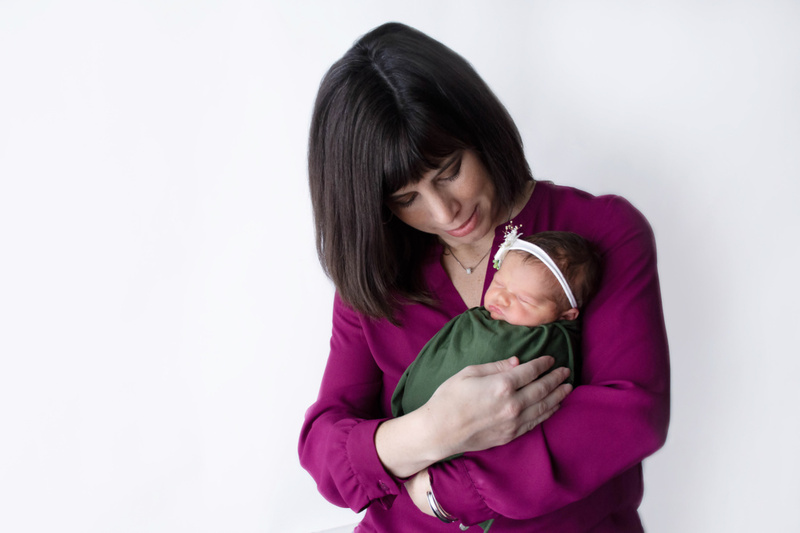 Kristin typically takes 4 Newborn Sessions a month to ensure she gives her clients her BEST work.